"Lord, I Lift Your Name on High" by Rick Founds is a cornerstone of modern worship music. You've heard it done all sorts of different ways – church choir, rock band, rap group, YouTube bedroom solo. 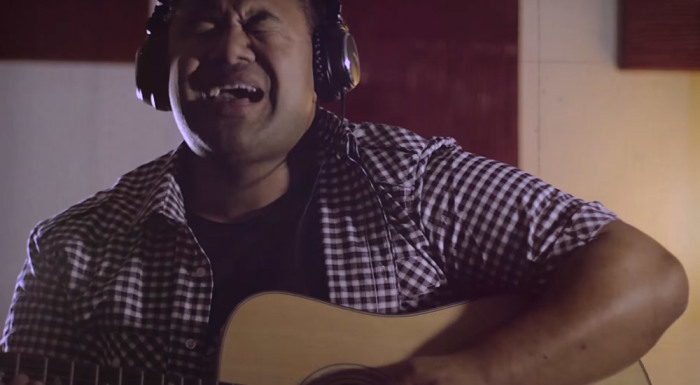 New Zealand musician TJ Taotua combines "funky, rhythmic technique" on acoustic guitar with his "smooth, silky and soulful" R&B vocals to put a fresh spin on the 1989 worship tune. It's beautifully fresh and familiar. And it's to Taotua's credit and God's glory that this collaboration across decades keeps the worshipful spirit of the song intact. Enjoy it.